I am a non techie, so I read a few threads, but they are not really designed if you don't know what a CSS field is. I copied exactly as you instructed and it did not make any change to my form on the hint text. See attached pictures. 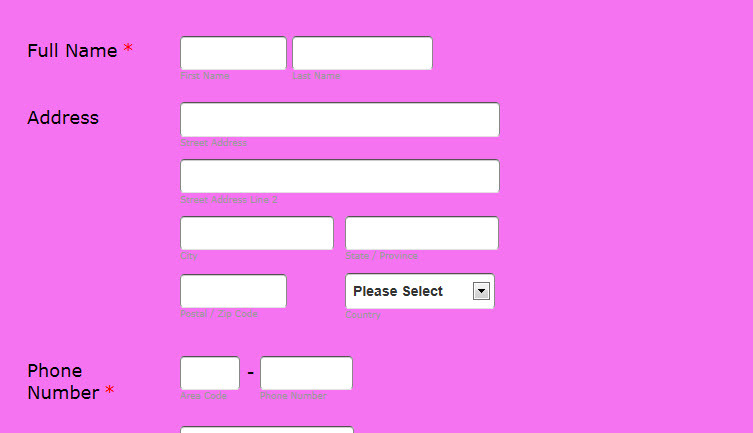 Be sure to remove the current css codes to your form before injecting that codes.